Strange Attractors (The Anatomy of Dr. Tulp) is a kinetic light installation exploring the relationships between human bodies, both real and imagined. 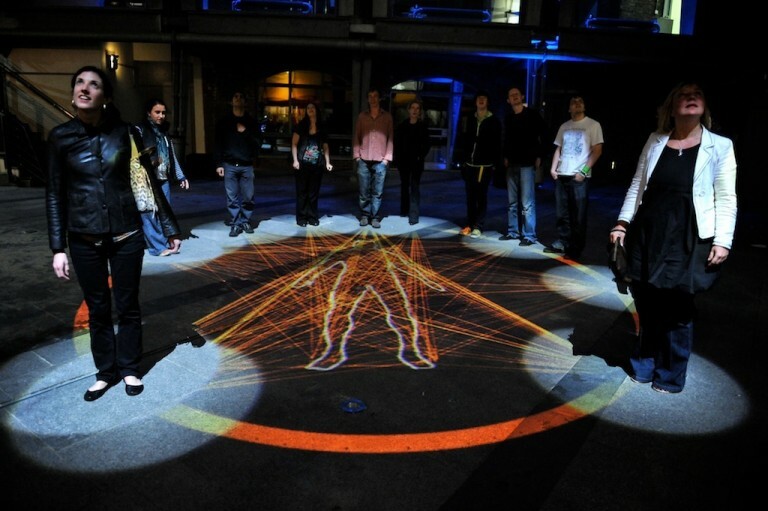 A prone figure lies in the centre of an empty square, and passers by are invited to participate in the ritualistic exploration of the environment. Strange Attractors was commissioned by FACT for the inaugural Abandon Normal Devices (AND) festival, held in Liverpool in September 2009.